Greetings race fans! 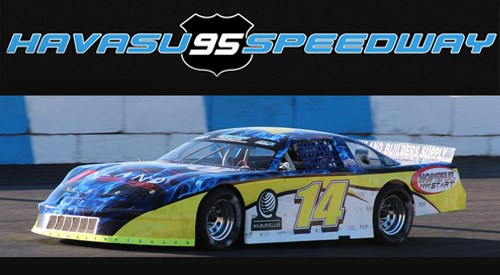 Havasu 95 Speedway is an ASA-sanctioned paved oval that runs stock car races in Lake Havasu City, Arizona. Classes run include late models, modifieds, trucks, street stocks, legends, Bandoleros, and factory stocks. It is one of three paved ovals in the state of Arizona and the only one in western Arizona.